Is New Orleans the flagship franchise of the NBA? Of course not. Do they have a track record of losing like the New York Knicks, Sacramento Kings, or Phoenix Suns? No, no they don’t. It’s strange that when a seemingly inevitable player and franchise separation occurs, everyone wants to blame the franchise for being inadequate, rather than look at the bigger picture. It’s a broken system and the deck is stacked against small market teams. The Utah Jazz built a strong team through savvy signings, late-round picks, and strong team culture. Gordon Hayward still walked. The Oklahoma City Thunder made mistakes, but they were a title contender every year Russell Westbrook and Kevin Durant were healthy. Durant still ran for the easier road to the top. The San Antonio Spurs, who were the NBA model of consistency and the poster-child locker room harmony, still couldn’t keep Kawhi Leonard. The Pelicans missed on the Solomon Hill signing, perhaps, they should’ve held on to Rajon Rondo, but this team was competent. Nikola Mirotic, Julius Randle and E’Twaun Moore were all good pickups. Jrue Holiday is a legitimate star. The team flashed potential and won when they were healthy and complete. But the Pelicans were plagued with injuries and Anthony Davis’ agent was steering him in another direction—all of which contributed to situation we’re in now. At the end of the day, it’s Davis’ choice. That’s the NBA both fans and players pushed for, and that’s fine. But don’t throw it all on the Pelicans. The Lakers have an inside man, Rich Paul has pushed for them to have the first crack at Davis but this collective buzz that the Lakers make the most sense is just foolish. The Lakers youth group is not a bad unit of players, they just don’t dazzle. 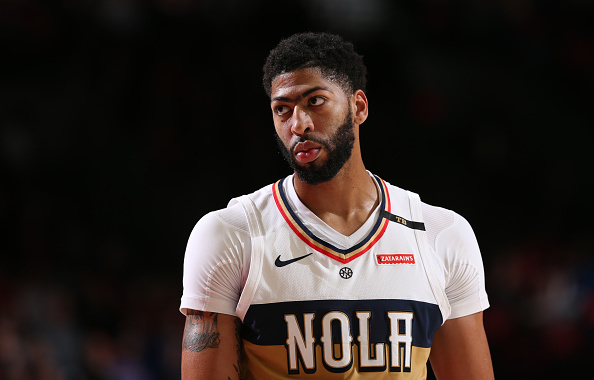 Despite the collective hopes of millions of fans, neither Brandon Ingram or Lonzo Ball is a blue-chip prospect and the Pelicans can’t be overly excited about dealing one of the 10 best players in the NBA for some average to above average starters with the ever elusive, “room to grow,” tag. Davis has a chess move still available to him. 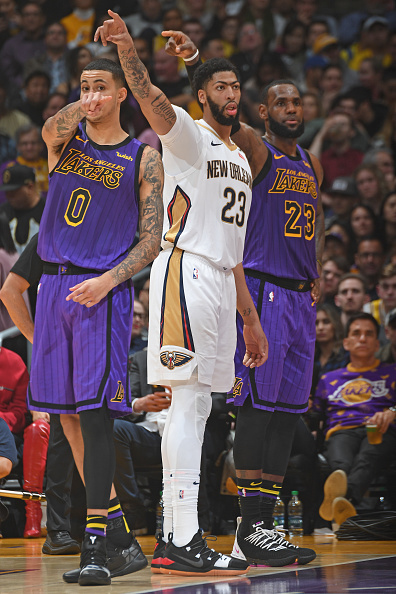 He, and his agent Paul can still drop the bomb if they so chose to: “At this time, Davis is only interested in re-signing with the Los Angeles Lakers and will not commit to anywhere else.” That could be even more aggressive, but you get the point. Here’s the problem, the Pelicans can call his bluff. Other organizations can call this bluff. Davis has another whole year on the deal. The Los Angeles Lakers may miss the playoffs this year. LeBron has been out 16 games and it’s a legitimate possibility they don’t get in. He’s also going to be 35 next season, which using our advanced math skills means he’d be 36 if this scenario played out the first postseason that he and Davis could play together in the spring of 2021. Take the Lakers last year, their season, with everything they showed, and take this stretch without LeBron, and put that team in Charlotte or Memphis or Orlando. How do they look and how are they perceived? Really think about that. So, ask yourself: If the Lakers miss the playoffs or get smacked in the first-round by the Warriors and LeBron looks human at any point over the next year and a half, is Davis still committed to going there for a team-up with 36-year-old James? Throw in the possibility of whatever team does have him next year being a contender? Davis has repeatedly said winning is his No. 1 priority—which could be the company line—but taking him at his word, the Lakers push looks a lot more like a Hail Mary. 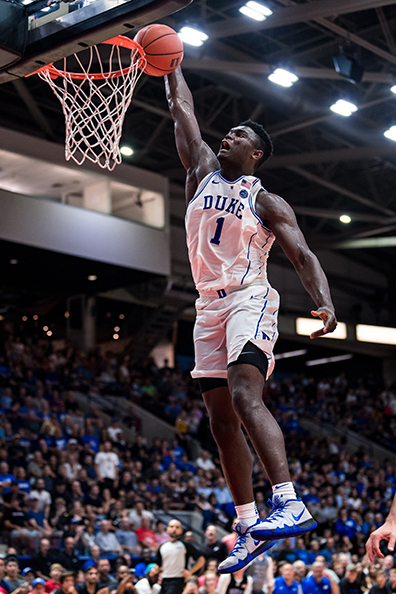 Aside from the Lakers’ core and Jayson Tatum, the number one asset people are talking about in a Davis blockbuster is the lotto pick that could turn into Zion Williamson. Do not move it in a deal for Davis. What? It’s Anthony Davis! There are teams like Boston, Toronto, and maybe Philadelphia and Denver, that are good enough to go all-in on Davis and hope for a title in in the year he’s with them, knowing full-well he could leave either way. None of the teams listed are in the lottery, struggling to sell tickets, struggling to rack up wins. Davis isn’t staying with the Cavaliers, Hawks or Suns. You’d get one year of Davis semi-engaged and he’d bounce. The Bulls, who have the hometown team appeal are reportedly not on his list of teams he’s overly interested in, so they too would be rolling loaded dice by selling off their youth for him. That leaves New York. The Knicks might, just might be able to keep Davis if they somehow dropped salary before the offseason and somehow convinced Kyrie Irving or Kevin Durant to come aboard as well. However, a lot could go wrong. If Porzingis is part of the deal, the Knicks have no one else remotely close to being a star on the roster, and without a huge signing, Davis is on an abysmal team. If they keep Porzingis and he’s not healthy that, too, puts them in a bind. The Knicks could swing for a home run this summer but how many times have they been burned by doing just that. Rather, why not hold onto the pick, try and sign Durant or Irving to team up with Porzingis, Knox, and the high pick and then pitch Davis on that core the following summer? That’s how you build a contender rather than a headline splash. The Golden State Warriors are probably winning the title again this year, but with the very real possibility of Durant bolting this offseason, teams should be looking to two years from now. Blake Griffin, Mike Conley and Marc Gasol need new homes. 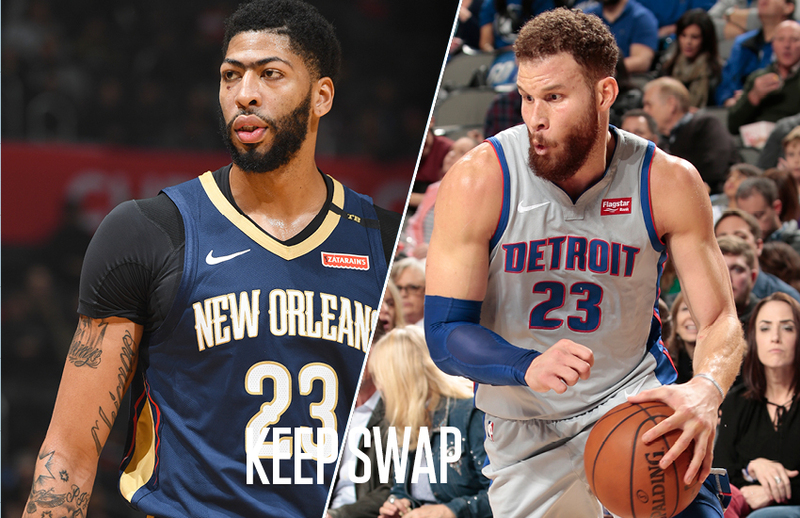 All three could be a difference-maker on a playoff team two seasons from now and despite heavy deals for all of them, most of the teams trading for them aren’t likely to be free agent suitors for Durant, Irving, or Davis a year from now. 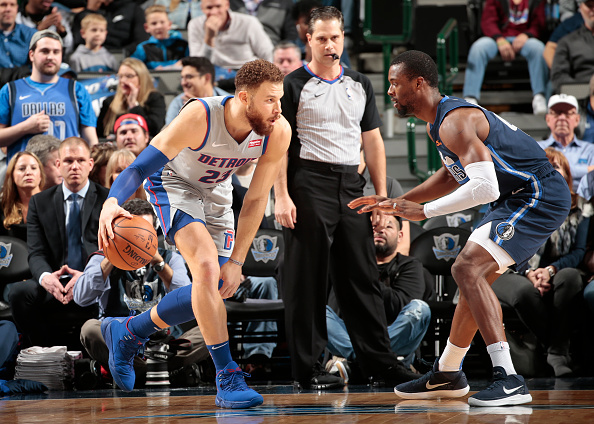 Griffin has toiled long enough in Detroit to come up with the conclusion that the Pistons don’t have it. It’s not his fault, it’s not Dwane Casey’s fault, it’s not even Reggie Jackson’s fault. His knees have robbed him of whatever ceiling that team had. The team is just bad, outright bad. The ideal team to swing for Griffin: Sacramento. The Kings don’t waste time now that they actually have a competent core and send out a package around Marvin Bagley and expiring deals for Griffin. 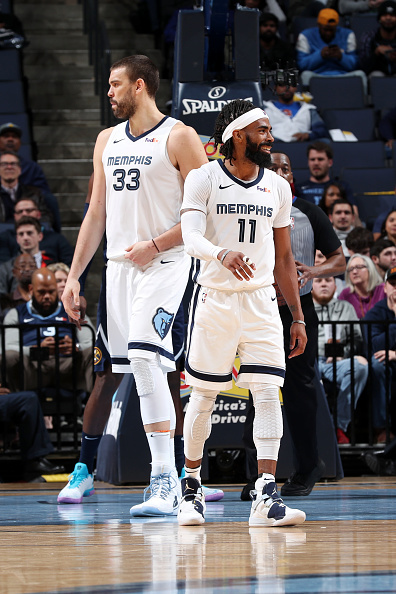 The Grizzlies pair provided that franchise and city with some amazing memories, but both are still high-end players who don’t make a ton of sense for a team that is overdue to bottom out. The ideal team to swing for Conley: Utah. The Jazz aren’t signing a big-name free agent. It’s so unlikely, why even swing? They could, however, upgrade their point guard position and form a very solid core of unsung heroes around Donovan Mitchell for the next few seasons. The ideal team to swing for Gasol: Toronto. The Raptors are in a contending position, Leonard’s future might come down to how far this team goes and adding a rim-protecting big could definitely help their chances. In addition, the one thing the Raptors lost in the DeRozan trade was secondary playmaking, something Leonard is not spectacular at. Gasol fills that void. The Raptors could package future picks or some of their youth with mainstay Jonas Valanciunas and really bunker down for the Eastern Conference playoffs.